Keep in mind Mario Party 2 is a Wii Virtual Console title, so Wii U owners must download it through the Wii mode's Wii Shop. Kirby seems to have become a recurring theme in Club Nintendo rewards, with the 3D Classics version of Kirby's Adventure last month and Kirby's Pinball Land appearing a few weeks before that. Let us know in the poll and comments below which titles you plan on snagging this month! Where's the 'nothing for me this time' option? Darn, I already got this month's selection. Where's the Yoshi Backpack? Come to North America. Well, nothing for me this time. I already have both Kirby games, no interest in the other two. Oh well, keep hoarding coins for next CN year. None for me this month. Besides, I have Mario Kart 8, Pikmin 3 and now Lego Batman 2 to occupy me. Isn't this the 3rd time KDL1 is on Club Nintendo in NA? Argh, put something good on there Nintendo! Sigh. 1500 coins and counting, and still nothing to buy. This is what we get for E3 week?? No thanks! Have everything but ♪Elec-tro-Plank-ton♪ Might get it, or one of 'em. 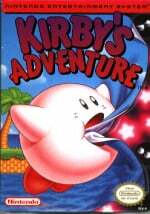 Seriously,they just had Kirby's Adventure on there and now it's on again.I want more physical rewards. @sinalefa - Don't forget to check your expiring coins before June 30th. I was really hopeing for something good b/c I have 900 coins expiring this month .Guess Ill get the 800 point t-shirt for 1 of my kids. Yet more waiting for Radar Mission. Dull rewards again this month. Maybe something good will come at the end of the month for the Gold and Platinum rewards? Kinda hoping it'll be Mega Man VII or Mega Man X3. @DakotaM47 Kirby's Dreamland IS good imo, it's simple but it's good so don't be hatin' (unless if you've already played it and didn't like it which is fine cuz ur opinions and all). Hmmmm.... Which one(s) should I get you guys? I've got 370 coins (loaded currently) I could get both Kirby's but if I get Mario Party 2 then that'll be it. Maybe I should only get 1 Kirby or maybe nothing at all? (Not planning on getting Plankton after what he does to the Krusty Krab ). Save em. Big items pop up once in a while, like the Gold Nunchuk, the Luigi's Mansion diorama, things like that. I just got that Luigi's Mansion figure because I had enough coins on deck saved up. I'm with ya- well over 1500 coins but that's good. You WANT to have em for when something gets added. Items can go fast, and you don't want to spend hours taking surveys when the time comes. @KodyDawg actually they were up this evening... I know for a fact they weren't up on Monday. I was checking all day Sunday when it was SUPPOSED to be up! Not surprising since they are always late posting the new games..
Kirby's Dream Land for me! 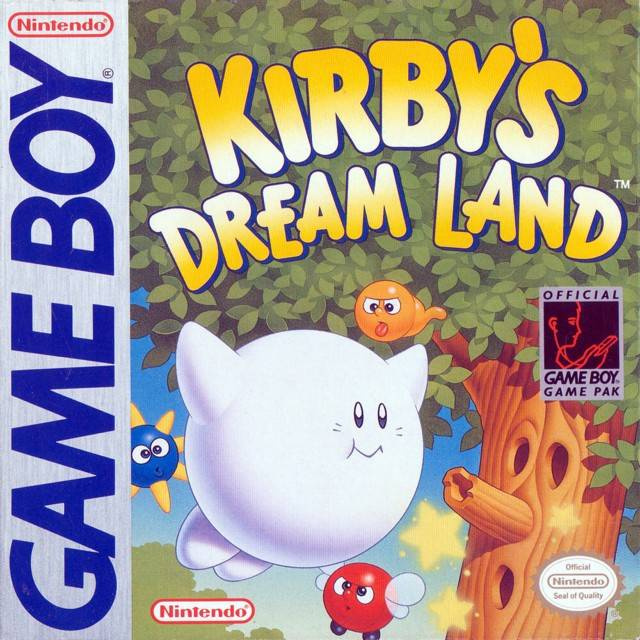 I've been craving more Kirby since Triple Deluxe, and I plan to get Dream Land 2 at some point! 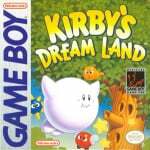 Picked up Kirby's Dream Land for the girlfriend. All the rest I've either got or not interested. At this time, the next month the games will be 300-350 coins. Gah... Another month of sitting on coins. Not really excited over any of them, but I've got coins expiring soon so its use 'em or lose 'em. So I'll probably get Kirby's Dreamland if i don't just splurge on a big item, I already have the Mario Party 2 otherwise I'd get that. I want my hanafuda cards dang it! Need to spend like 400 coins. Looks like Dream Land and Mario Party for me. I would like it if they did this in Europe. Would be great to get some free games! @rjejr I'm in the same boat. I have the most points I'll probably ever have and nothing I really want, and the points expiring in less then a month. I think I'm getting the Mario 3DS case and one of the Kirby games I guess. I was hoping that the 3DS base would make a return. what a load of _ _ _ _! i had 540 points to use or loose by end of june and they release these 4 games? come on. do 1 3D Classic per month at least!. excitebike.. etc.. so i went ahead and succumbed to the yoshi t shirt for 800. best i could do. i need just 80 points to reach platinum.. what should i do? does that mean i need to get 80 points before dec 31st? @mushroomer How about before July? How come everybodys always rich with coins? I have like 25.
register all your club nintendo points..
@mushroomer Like Gamecubii said, you need to get 80 points on or before Jun 30, or you're stuck with Gold. I'd get Mario Party 2, but I really don't want it because it's on Wii VC. I'd get it if it was on Wii U. @SuperMikey I bought it the first it was on Club Nintendo. @rjeji Thanks, almost forgot about that.